Sweet and savory - a classic and easy combination. Almonds optional. Preheat the broiler. Slit dates. Place one almond inside each date and a small amount of goat cheese. 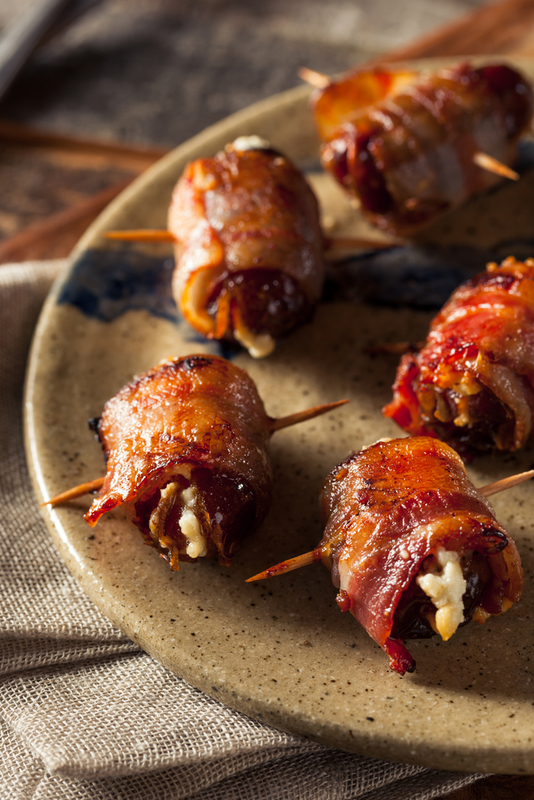 Wrap dates with bacon, using toothpicks to hold them together. Broil 10 minutes, or until bacon is evenly brown and crisp..